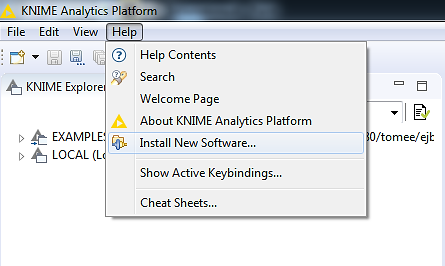 KNIME Analytics Platform is a powerful open source tool for data mining. 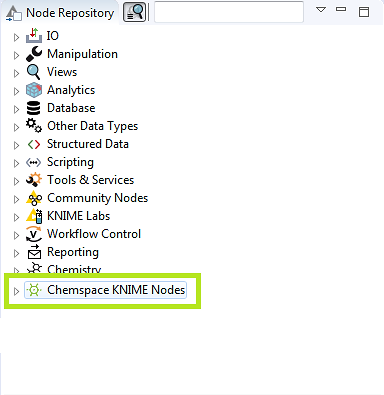 We have created the Chemspace nodes for KNIME that allow to search directly in Chemspace database (100 million compounds) without using your browser. We provide two nodes for searching through Chemspace API: Chemspace Search and Chemspace Expanded Search. First node enables search in Chemspace database, and second one – in REAL Database. You can embed Chemspace nodes into your custom in-house workflow, get the information on marketed compounds and post-process the search results in any desired way. To use the nodes, you will need the Chemspace API Key that we will send via email. Contact us at info@chem-space.com to request the Key. You can get up to 200 results per each query performing up to 40 requests per minute. What should be the input? Both nodes accept SMILES cells (or String cells with SMILES) for Structure Search and String/numeric cells for ID Search. Please see the Example Workflow for more details. For each query where results are found, the nodes generate output with SMILES, Chemspace IDs, and URLs. If Similarity Search is selected, Tanimoto Similarity column is added. For each query where results are found, the nodes generate output with SMILES, Chemspace IDs, and URL. In case of Similarity Search, Tanimoto Similarity column is added. Also there is an option to show pre-calculated PhysChem parameters for hits. How to use the nodes? Get the Key and explore the chemical universe! Please see our presentations on Chemspace Search and Chemspace Expanded Search nodes and Example Workflow to explore the features of the nodes. 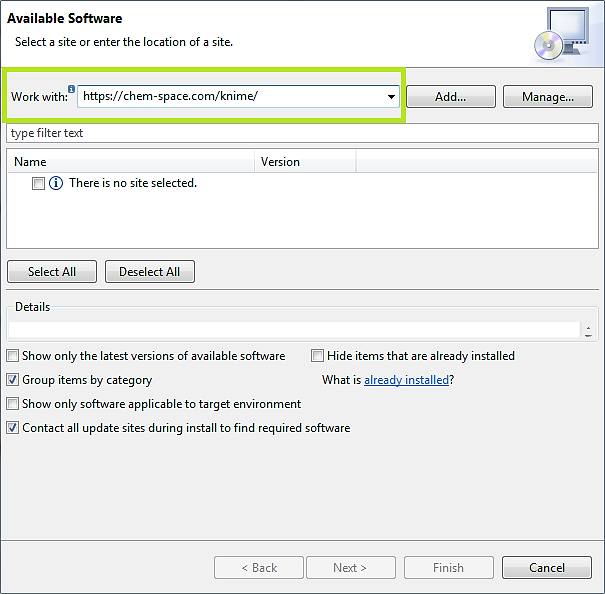 How to install Chemspace Search nodes? Open Help menu and click Install New Software. Type https://chem-space.com/knime/ into the Work with field. 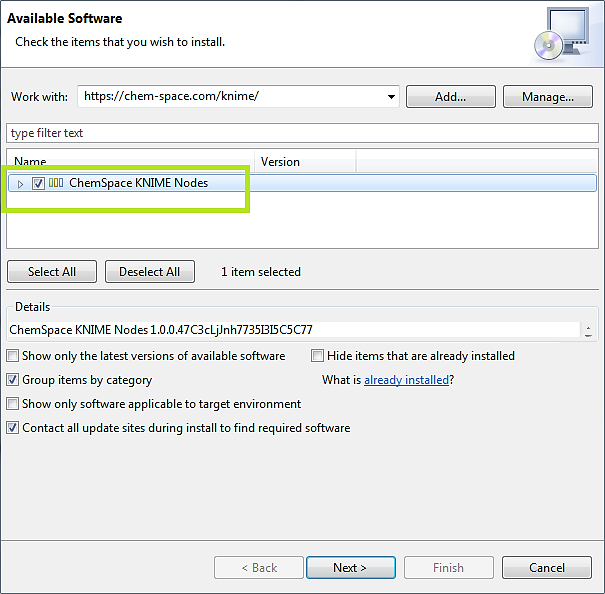 Tick the Chemspace KNIME nodes checkbox. Click next and follow the further instructions. For changes to take effect, you will need to restart KNIME. When the installation is complete, the application will propose you to restart it.